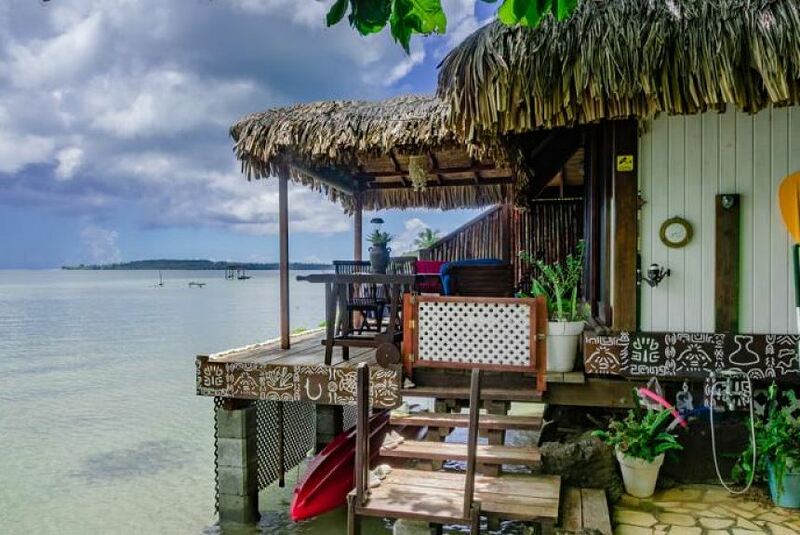 Bora Bora Bungalove enjoys a beautiful waterfront location, boasting views of the lagoon and Otemanu Mountain. There is a swimming area with a reef and fish at the front of the bungalows. Motu Mute Airport is 7 km away, and a free 2-way transfer is available. The property provides free rental of bicycles, kayaks and snorkelling gear. Local tours and car rental can be organised by the property. Free parking and free Wi-Fi access are available. Bora Bora Bungalove is 200 m from the local grocery store and 7 km from Vaitape.